Имате въпрос към H Hotel Cambodia? Построен през 2013, H Hotel Cambodia е важно допълнение към Пном Пен и разумен избор за пътуващи. Само на 3.7 km от градския център- това стратегическото местоположение на хотела гарантира на гостите си бърз и лесен начин за достигане до интересуващите ги точки на града. С удобното си местоположение хотелът предлага лесен достъп до всички градски забележителности, които задължително трябва да се видят. В H Hotel Cambodia отличното обслужване и достъпните съоръжения допринасят за Вашия незабравим престой. Този хотел предлага множество удобства, за да задоволи и най-изискания вкус. Като допълнение всяка хотелска стая предлага широка гама от удобства. Много от стаите са с телевизор с плосък екран, допълнителна баня, допълнителна тоалетна, стойка за дрехи, уелкъм дринк, за да удовлетворят и най-изискания вкус. Хотелът предоставя най-добрите съоръжения включващи открит басейн, които ще Ви помогнат да отпочинете след активен ден прекаран в града. H Hotel Cambodia е добър избор за всички посетители на Пном Пен, защото предлага спокойствие и безпроблемен престой. I loved this hotel. It was in a good location, very quiet, very comfortable with very friendly and helpful staff. Delicious breakfast too. I highly recommend! Friendly and great staffs, excellent breakfast which you should not miss it, location is good as well. only things happened during my stay was the room Aircond malfunctions on the second day during in the evening informed the staff they tried to fix it but after back from the dinner the Aircond still not fixed . Anyway the staff willing to change to another room immediately but a bit messy during midnight. 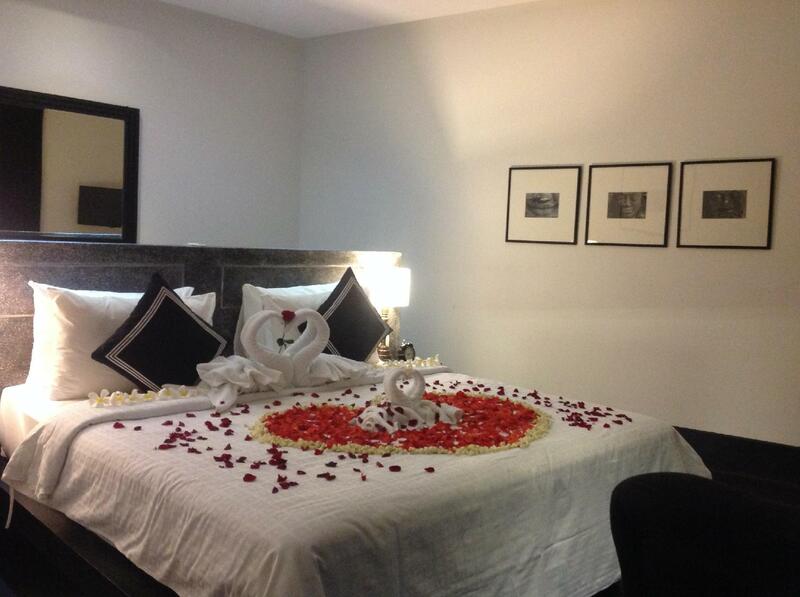 I have stayed here multiple times and have always been satisfied with the room and service. Breakfast could be better, but since it was included in the room price, it was adequate. Good coffee, though! I was completely satisfied with my one night stay at the H Hotel and doubly so considering they upgraded me to an enormous room complete with an outside (secure) bathtub. Friendly staff and quiet setting. This is surely one of the best boutique hotels I stayed in Phnom Penh so far. Pro: cleanliness, aircon, strong shower spray, able to enjoy a nice hot shower at any time of the day, ala cart breakfast is not too bad & location is near to the palace. Value for money! Con: Not many drivers know how to get there. I had jus booked my second stay there! Kind staff with fair English skills are attentive. Clean room and bed linen, towels. Very comfortable bed, spacious rooms, great water pressure and temp, large bathroom. Small hotel that's a 5 min walk to the Royal palace; I walked to Tuol Sleng in 25 min. Wifi is fair connectivity and stream, works for basic needs. Very quiet and private rooms, virtually no street noise. I was able to nap in the day while the hotel had minor construction going on for a short while because room blocks out most noise. Cons were rooms are dark, and I bumped my legs against hard wooden bed frame with hard edges twice which left matching small wounds on each leg. I saw a mosquito upon entering my room on arrival, but hotel staff killed it immediately. Overall, one of the best hotels I've ever stayed at. Staff are kind and pleasant which makes a big difference, so props to them. Very well run hotel in a good location; nicely designed. However 4 star is pushing the amenities - I would say very high end 3 star They need to control a bit more the noise of patrons who enjoy their tiny swimming pool. But otherwise no complaints and I would stay again. We only stayed one night, but this was booked last minute and was a great booking, rooms were really large, massive, staff were helpful and location was near the Silver Pagoda and Palace. 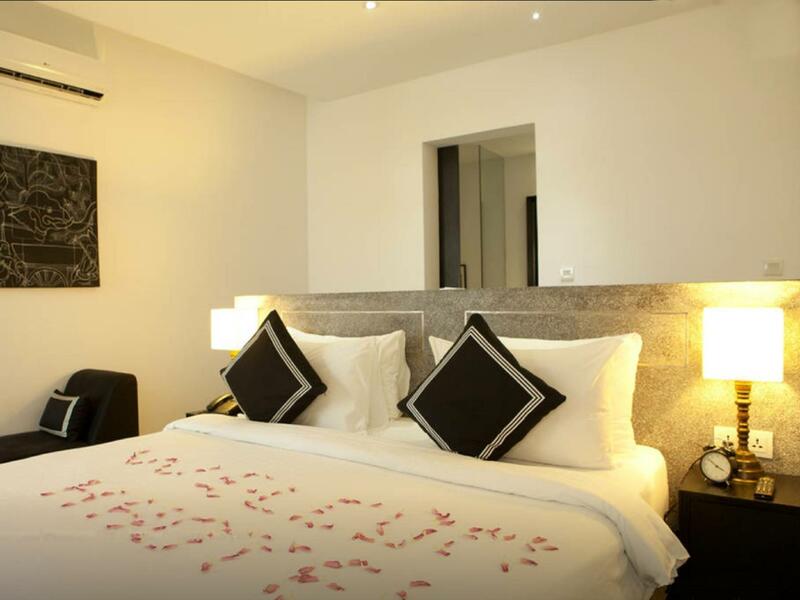 Clean and pleasant recommended even for families, because of large rooms and beds. Pool area was small, but was adequate for a relaxing swim. Breakfast was a basic but enough. Tucking away in a small quiet street, the hotel was designed and adorned with furniture having two main colours black and white that make the hotel become more charming and relaxing, likely to stay in an antique villa. Spaceous and clean room. Staff was hospitable and helpful. Will come back one day. We were in a group of 3, booked 3 rooms - rooms were great, place was peaceful, though certain stuffs weren't working (Room 1: Couldn't get hot water. Room 2: Low water pressure. Room 3: Shower head wasn't working so they switched this room). But it was good overall + affordable. This is the third time I stay in this hotel for my business trip. Good: Breakfast is not bad and having plenty of choice. Bad: The warm water supply for shower is not consistent. Sometime, I have to take cold water shower. In summer time, I'm still ok but now, the temperature in Phnom Penh is not high especially at night. I cannot stand for it. Therefore, I have booked another hotel which having good warm water supply for shower in my next business trip. Average. Bath tub is located "outside" the room in a "balcony" which is a converted open area - the surrounding exhaust from the cooking nearby and sounds from neighbours' backyard does not quite create a relaxing soak in a tub experience for me. Shower area (indoors) is good. Location of this hotel is good. Many good restaurant nearby. Hot water for shower is not enough. You need to have a very quick shower or otherwise, you will need to take a cold water shower. For short trip staying one or two days is still fine with this hotel. Location of this hotel is good. Many small restaurants nearby and very convenience. Not so many divers know this hotel and so it take a while to find the entrance. No lifts in this hotel but the staff of the hotel helped to carry lauages upstairs. A bit disappointed when go into the room. It's totally differnt from the photo shown in the website. Room is small, window is small. The so call barcony is actually the corridor outside the door. But in consider of price (although it's not including breakfast), it's still one of the hotel I may consider coming back. The hotel is lovely, clean, and well located. The staff is divine. There are rarely problems, when one small problem did arise, it was addressed immediately, professionally, and responsibly. I was more than satisfied. The manager, Dara, takes guest satisfaction very seriously. LOVE the H Hotel and cannot wait to return . 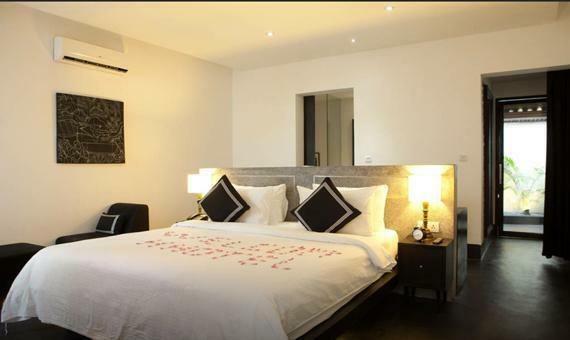 The hotel is a nice, small modern boutique style hotel. The rooms were very clean and the shower was really spacious, the rain shower head was an added bonus. At times the hot water had run out but it was still warm enough for a comfortable shower. 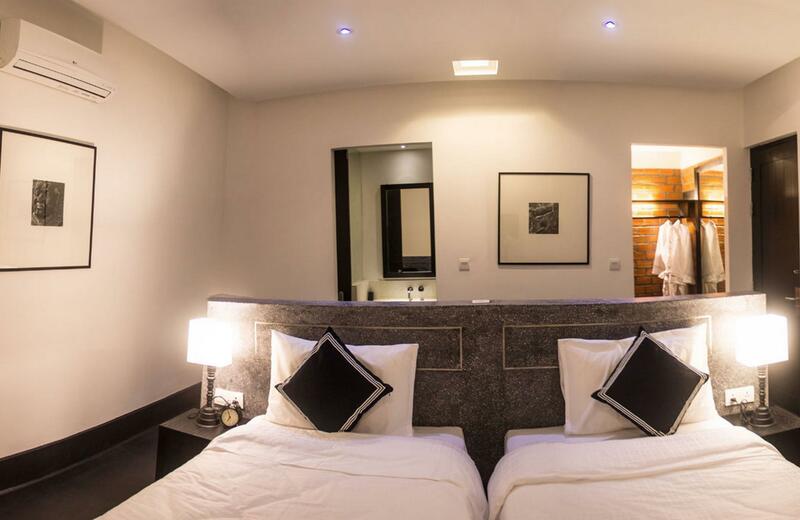 The location is prime for this hotel, within walking distance of the Palace and river front. If you're not in the mood to walk the security guard will always help set you up with a Tuk Tuk just outside. The breakfast had a decent selection and the food was always delicious. The portions are fine and it was nice to sit by the pool area to eat. For dinner I would suggest venturing down the street or along the river for a wider selection of dinner options. The staff were very friendly and always greeted you as you entered. At times it was a tad more difficult communicating in English but the staffs' comprehension is great just at times responding to your questions may take some gestures or I strongly advise using a map if you are asking directions. The hotel was quiet and a great escape if you are looking for a hotel that was great value for what we paid, although they have deals on currently for low season.